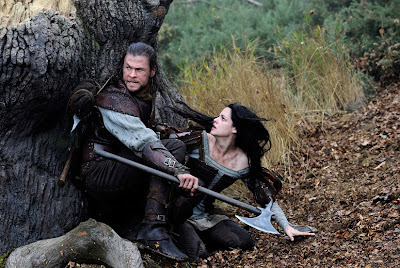 New Image from 'SNOW WHITE & THE HUNTSMAN' Featuring Kristen Stewart & Chris Hemsworth! A new image from Snow White and the Huntsman has been released via the movies facebook page. The image features Kristen Stewart as Snow White & Chris Hemsworth as the Huntsman in Rupert Sanders’ classic fairy tale re-imagining, a re-telling of the classic Brothers Grimm fairy tale that features an expanded role for the Huntsman. In the original version he is ordered to take Snow White into the woods & kill her, but now instead lets her go, serving as her mentor, teaching Snow White how to fight & survive against the evil queen. The movie also stars Sam Claflin, Charlize Theron, Noah Huntley, Ray Winstone, Ian McShane, Bob Hoskins, Toby Jones, Eddie Marsan, Steven Graham & Nick Frost. 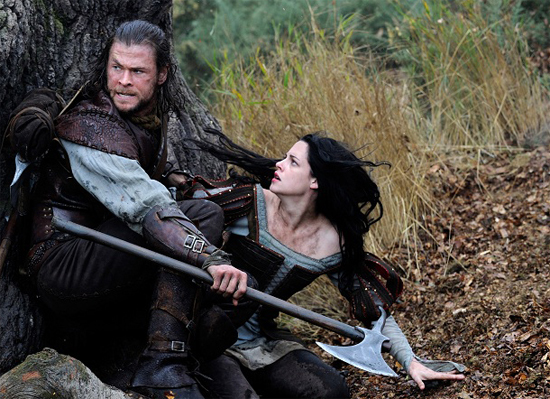 Snow White and The Huntsman hits theaters June 1st. Hit the jump for the details. I'm reading: New Image from 'SNOW WHITE & THE HUNTSMAN' Featuring Kristen Stewart & Chris Hemsworth!Tweet this!